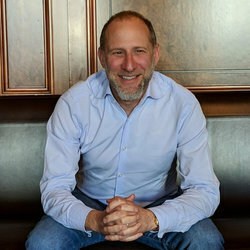 Arun Penmetsa is a Partner at Storm Ventures and focuses on early-stage Enterprise software companies, primarily in SaaS, Security and Digital Health. He has extensive experience building enterprise software solutions at Oracle and Google. Arun is passionate about healthcare and using technology to improve outcomes and drive efficiency for patients, providers and payers. He is also an investor in several healthcare groups in India where he serves as an advisor on technology and population health. In his spare time, Arun enjoys spending time with family and hiking. How did you get into the world of VC? Was it your first job? No, to give you a little bit of background, I started out on the technology and engineering side. After college and graduate school, I worked at Google and Oracle, building enterprise products for about five years. Then I went to business school, and joined Storm Ventures right after that. It wasn’t my plan going into business school, but I got introduced into the world of venture capital (VC) when I met a lot of VC’s, mostly at startup conferences and other networking events. I was really curious, because one of the things I was trying to do in business school was to learn a lot more about other industries. I’d only worked for a few companies, so I was curious how the industry worked. I spent the summer between my two years of business school at Storm. I really enjoyed the work I did, and really enjoyed working with the Storm team, so I was happy to have the opportunity to come back full time. Did you see yourself doing this, or being where you are today, when you graduated college? When I graduated from college, and when I finished graduate school, I was thinking about a more tech-focused career. Like I said, I worked in engineering and product at Google and Oracle. I was trying to transition more into a startup environment, so no, I wasn’t really thinking about venture capital. Why did you invest in 4me, the Alchemist company? What differentiated them from other investments you were thinking about at the time? A couple of things. At Storm, we focus on enterprise software and spend a lot of time on industries that are not necessarily mainstream. So I was always interested in the service management space. Given the general level of innovation that had been happening, the service management space was lagging a bit compared to other industries, so I thought there was a lot of opportunity there. When I met Cor, the founder and CEO of 4me, one thing that really impressed me was the caliber of their team. Cor’s background in the space—having started two other businesses, and having successfully exited them really stood out. I thought the team had a unique perspective and depth of knowledge about the industry. That was one of the biggest factors for us. We also have a broader thesis about how data flows through a lot of these industries. Historically, if you think about it, the way that a lot of technology is set up in these industries has created data problems. There are different systems and different owners for a lot of the data that is needed for these companies to manage their own workflow. As service management has evolved, and this is playing out in a lot of different industries, the need to operate across boundaries and silos has increased more and more, whether that’s geography, or technology systems, or different departments. I don’t want to get too into the weeds, but service management is broadly going through a transition where the new focus is on SIAM or Service and Integration Management. The team at 4me really built their product for that. We thought the shift in the industry really aligned with the expertise the team had, so we thought that was a good match. Plus, they were winning against the more established incumbents as a startup that was bootstrapped, so the growth was impressive. A combination of these factors led us to invest in their company. What are your thoughts on Alchemist in general? I think the program is great. I’ll give you a little background about Storm. We’ve been around for about 19 years, invested through five funds, and we’ve pretty much been enterprise focused for those 19 years. The last couple of funds have all been focused on software. In many ways, what Alchemist does is really a perfect fit for us. It’s definitely a sector and stage fit, because we mostly do series A investment, so that’s been fantastic. I’ve met Ravi and Danielle a few times, and I think their focus on running a slightly longer program is important, because things take longer in the enterprise space, particularly as you go into some of these deep tech industries. This helps companies get to a stage where they can really start talking about go-to-market and what levers a venture capital firm like us can bring. I think that’s critical because a lot of times, when you work with accelerators, they have great founders and great companies, but it still ends up being too early for us.\ Alchemist has set up a good model, a long enough program with good mentorship and support, where you get to a stage where a VC firm like us can add a lot of value. I think I’ve been going to Alchemist Demo Day since the second Demo Day. It’s been great working with their companies and seeing them as they grow. What’s the size of your current fund and how does that compare to funds at a similar stage in Silicon Valley? Our current fund is $180M, which has been about average for the previous funds as well. Funds are obviously getting bigger, just given some of the recent raises we’ve seen. We’ve decided to stay at a similar size, primarily because we really focus on investing in companies just as they’re getting to the product market fit stage and we work with them on finding go-to-market fit and scaling beyond that. We help them think about building the right sales model, building the right playbook, and thinking about what hires they should make. We can definitely make the fund bigger and bring on more investors, but we’ve found that this has worked for us. Companies that we really want to work with are in that early stage, where they want that first institutional investor. We’ll partner with them and help them scale through the right process. What’s the typical check size and how is that typically structured? Typically, our check sizes for the A rounds are in the $2M to $5M range. We can go lower, and occasionally we’ll do seed rounds, or we’ll do larger rounds sometimes. Storm has invested in about 150 companies, led investments in a number of cases, and we’ve co-led, so we’ve pretty much worked with everyone. We’re not very rigid in terms of needing 20% ownership, but we like to own as much as possible, because we tend to be really hands-on with our companies. We’re definitely not a fund that makes a huge number of investments. We are somewhat concentrated and would rather go deeper with our companies than just go broader. Is there a stage you typically prefer to invest? Series A. The sweet spot is definitely the A for us. Do you have a specific vision or focus that differentiates you from other funds? The emphasis on go-to-market. We spend a lot of time working within the firm and working with other organizations that we can bring in to support our portfolio. Once you’re selling your product to a handful of customers, and there’s repeatability in the use case, we can help you figure out how to scale. One of the biggest issues is that early on, getting to that $500K or $1M run rate, a lot of that comes from founder sales. It varies depending on the size of the account and other factors, but when you make that transition to a sales team and the founder steps back a little bit, a lot of times that process doesn’t go smoothly. The depth of knowledge that the founders have about the sector, the problem they’re solving—it’s hard to replicate that throughout the teams. What we try to do is really think about the go-to-market as a science as much as we can. We want to think about the right playbook, the right sales model, the right customer you’re selling to, and really building those processes out. We spend a lot of time with our companies building out that process hands-on, so that they can effectively make that transition to scaling, and they don’t hit a speed bump when they get to that stage. When companies come to us, a lot of times we’ll see that they have a grand vision and a good roadmap, and have predictions that are up and to the right that we hope they’ll hit. But on occasion, they’ll stumble a little bit. A lot of it is making this transition, and getting your playbook down, with the right sales model. That’s one way that we try to differentiate from other firms. Additionally, we’ve been very focused on enterprise for 19 years, so we have a huge network in the space across a variety of industries, that can add value to our companies. How do you think you differentiate yourself individually from other VC’s? To build on what we talked about, we have built deep relationships in various enterprise sectors given the focus over many years. I’ll give you an example: I spend a lot of time focusing on healthcare at Storm. Over the last few years, we’ve built a strong healthcare practice. As part of that, we have connections to a lot of health systems across the country—including physicians, practitioners, and entrepreneurs. In that one example, we can definitely bring a lot of those connections to bear for the startup. We’ve sat in a lot of these practitioner’s offices, so we can really understand the deeper workflows, that comes with selling to major players and providers. A lot of the work that happens on the backend isn’t really visible to these companies. That’s just one example of the insight and level of connection that we can bring for our portfolio. In terms of the broader firm itself, the go-to-market is a big area, but we also bring in a lot of experts who can specifically give advice on sales and marketing. One other area where I’ve spent a lot of time is security. In fact, we have a number of CSO’s working out of our offices pretty often. What makes an investment particularly compelling and what’s a big red flag that would make you pass? In terms of red flags, maybe this is an obvious one. We’re looking at mostly enterprise, so if the founders have never worked in industry, I think that’s a big red flag. It’s not that I wouldn’t talk to them or not invest, but it’s something where I’d definitely want to dig in more. Especially if it’s an area like Cor with 4me and service management, it’s hard for an outsider to really get a sense of what the problems are, and what the incentives are, in terms of why these problems get created. So, it’s not always a technology solution and it’s not always that the best tech wins in a lot of these cases. We really think hard about the unique insight that these founders are bringing, and how their background and experience really leads to that. On the flip side, things that I would definitely look for, because we invest so early and have to bet on the team, would be the background of the founders. We also look for their early ability to win customers. A lot of times, we see founders that work hard and have passion, which enables them to get customers. However, a lot of the customers are using the product for different use cases. That’s fine early on, because they’re still trying to find the right product, but we’d like to understand what’s really working, what’s the sweet spot early on, so that they can find repeatability. I think that repeatability is important because that leads to more usage and lower churn. That’s when you’ve really found a pain point worth investing in. We also think about market transitions, and ask if there is something fundamentally changing in the market. Not just a better version of what’s been done before, but something fundamentally changing in the market that will lead people to adapt a new technology, a new product, or a new workflow. When we meet entrepreneurs, we try to already have a thesis on the market, so that we can make faster decisions about whether the idea makes sense or not. What do you think separates a great founder from a good founder? One of the things is the ability to hire really great people. As a founder, you have insight into a certain area, but you can’t do it all. That’s why a founding team in general needs to be well-balanced. I think the biggest thing is being able to sell people on your vision and hiring people that are better than you. If you can hire well, I think in many cases, the rest of the issues can be addressed, because you’re getting the right set of people that can work together and solve problems. It’s a hard thing to test for, so we try to spend a lot of time with our founders. Would you be more likely to fund a really experienced team with a mediocre idea, or a team with no experience that had an amazing idea? It really depends on the idea and the use case. I would say I’d pick the team over the idea, because it’s unlikely you’re the only one with the idea, meaning that a lot of your success is based on execution. Ultimately, you really have to hustle and execute. On the flip side, if I can add a caveat, the one area where that can be a little more murky, is when there’s a huge market pull. In that situation, a mediocre team in a market that’s really taking off can probably execute better than a great team in a market that has no momentum. If the market is really taking off, a good team can have better outcomes than a great team in a bad market, no matter how strong they are. Oftentimes, we have theses in certain areas, so we have some view on the market and how that might impact these companies. If there was a piece of advice that you’d give to founders who are raising money that isn’t shared enough, what would that be? Founders often focus on the current product that they’re selling today and their long-term vision, which is grand and massive if you achieve it. However, a lot of times, in the middle, there’s a big gap. Having a clear strategy for how you’ll progress beyond the immediate pain point that you’re solving today is something that people don’t spend enough time on. I think having a viewpoint on how the market evolves is critical. It’s knowing what transitions are happening in the market and how that gives them tailwind, and understanding why that is the case. Which investment were you most proud of and why? Obviously, I like 4me quite a bit. I don’t know if there is one I’m most proud of. Going back to the industry transition idea, where it’s critical to find the right time to make a change in the industry, some of the best companies get the timing right, where many others are too early or too late. In healthcare, there’s a company we invested in called Lexigram, that’s helping payers and providers transition to the value-based care model. They’ve done really well. In security, there’s a company called TruSTAR that’s truly leveraging how companies share information with each other and really enabling that. Those are a few. What areas are you most excited about now and moving forward into the future? Security and healthcare are two areas I am excited about due to the changes taking place. A broader answer is that no matter what industry you’re in, if there’s a market transition that’s happening, I would be interested in learning more. The other thing that I think a lot about is the whole idea of the data economy. Historically, a lot of data was stored in silos across organizations, team, and geographies. Any company that is truly building insights across such data is a company that I would love to meet and speak with. So, there’s not one particular area, but these are a few of the areas that excite me. Scott invests in entrepreneurs at the seed, early and growth stages with a focus on cloud infrastructure, open source and SaaS. He’s especially interested in the rise of distributed computing and developer-facing businesses. Scott serves or has served on the boards of Guild Education, LaunchDarkly (an Alchemist company), Hashicorp, Platform9, Sourcegraph and Twilio, and led Redpoint’s investments in Stripe and Collective Health. Past investments include adap.tv (acquired by AOL), Cloud.com (acquired Citrix), Heroku (acquired by Salesforce), Jumptap (acquired by Millennial Media), and RelateIQ (acquired by Salesforce). Prior to joining Redpoint, Scott was responsible for new products at NorthPoint Communications, a data CLEC providing nationwide DSL services. Prior to NorthPoint, Scott worked at Bain & Company helping clients in the private equity and technology industries. Scott, how did you get into the world of Venture Capital? I’d worked as a developer, product manager, and business development manager at a variety of companies including a couple of startups. I had a passion for entrepreneurship and technology, and I had an opportunity to join Redpoint as an associate a number of years ago. I’ve been lucky enough to get promoted a number of times and be in a position to work with a lot of really great entrepreneurs over the years. It's been a lot of fun. You said you were a developer. Is that what you graduated college with? I graduated with a B.S. in Electrical Engineering and had done a bit of software development as a part of my academic career. Then I joined, what at the time was called Andersen Consulting, but is now Accenture, as a software developer and, among other things, worked in their Advanced Technology Group. I did a lot of software development there at the dawning of client-server, and also got exposed to networking and communications and really fell in love with that. Is your background in software development what led to your investment in LaunchDarkly? I'm going to take it back a few years to 2007 and the launch of Amazon Web Services. As a former software developer, I saw the impact that would have on development, but also the emergence of this trend called DevOps, that we all know and love today. I met the founding team of Heroku, which was building the first PaaS (Platform as a Service.) Through that experience, I developed a deep admiration for entrepreneurs working on building products that developers love. You’re not selling products to developers, but you're selling through developers to organizations to solve big business problems. Heroku is near and dear to my heart and I learned a lot about the power of developers through that time. After that, we invested in companies like Stripe and Twilio and another company called Sourcegraph that's working on “code intelligence” again to help developers accelerate writing software. Through these experiences I was lucky enough to meet Edith and hear what LaunchDarkly was doing. It felt like it was the perfect continuation of that trend. It’s a piece of technology and a solution that helps developers, but ultimately unlocks so much value across an organization and could have a profound impact on how they think about their business. What separated them from the other investments you were thinking of making in the space? The things I look for when we find these developer-facing businesses are indicators that the projects have impact not just within the development organization, but with other functional areas. By changing the software development lifecycle, these companies can end up having repercussions that affect product, marketing, and even senior level decisions how a company runs its business. LaunchDarkly was an amazing example of that, through the idea of feature flagging: the ability to transform the velocity at which you could release product; the ability to give product managers control to deliver specific features to individuals; the ability for marketing to be able to provide early looks on functionality. These are interesting, profound capabilities that span across an organization. Maybe the most exciting thing to me is, we talked to one of their early customers during the due diligence. It's a very successful, large company today, a brand name. We talked to the CEO who was not only aware of the impact LaunchDarkly was having on the organization, but talked about how it impacted the way he managed the business. It changed the way he thought about what his team could do. I was incredibly excited when I heard that, because that’s the way you create massive value and have the opportunity to build a significant business. I love what Alchemist is doing. I think it’s clear that when Alchemist got started, there was a dearth of opportunities for entrepreneurs thinking about enterprise businesses to find mentors and advisors and organizations that could them to help them grow those ideas. Ones that understand the nuances associated selling to enterprise buyers. There were things like this available to consumer and more consumer-like enterprise businesses, but there were very few people that could act as a resource for entrepreneurs who wanted to build traditional enterprise businesses. I've heard time and time again from the people that go through the program just how much value they're getting out of it. I don't want to suggest here that building a consumer business is easier than building an enterprise business, far from it. They're very hard, but they're very different. As a young entrepreneur, when you think about selling to businesses, there's some realities you just have to know. You have to understand what it means to build an enterprise-grade product. You've got to understand what it takes to market to enterprise buyers, and you have to understand what it takes to build and manage a sales force that can sell to enterprise buyers. Having an organization that helps young entrepreneurs understand the importance of all those things and what it means to do that is invaluable. I view it as a pretty unique entity in terms of what it's doing. The entrepreneurs that have been a part of the program say it was incredibly helpful. What’s the size of Redpoint, and how does it compare to other funds of similar stage in the Valley? We’re a unique animal in that we are always actively putting money to work out of two funds simultaneously. We have an early stage fund that is $400M focused on Seed, primarily Series A and occasionally Series B. We also have a $400M early growth fund that is focused on Series Bs and Cs. As a result, we span from Seed all the way through mezzanine financing with these two funds totaling $800M.It makes it a lot of fun for us. Our approach in the way that we we work with entrepreneurs, is they do not need to worry about which fund the money is coming from. Here we're going to work every deal exactly the same with an identical approach to thinking about engagement with entrepreneurs and the value that we want to add to them. We just have two pockets we can pull from. What size checks do you typically write and how is that structured? It's a hard one to answer given our stage-agnostic approach. We write seed checks of a few hundred thousand to grow checks well north of $30M. The most important thing for us is to not try to force an entrepreneur to raise an amount of money that isn’t in the best interest of their company. Ultimately, we want to do what is in their best interest and the good news is we have the flexibility to support a couple of smart people with an idea all the way up to a company well on its way to an IPO. What stage do you prefer to enter into, if there is a preference? The earlier we can be involved with great entrepreneurs, the better, but again we are primarily interesting in working with great companies regardless of stage. Does your fund have a specific focus? Broadly speaking, Redpoint invests in disruptive ideas across both enterprise and consumer technologies. That being said, with the rise of things like artificial intelligence and what's happening within SaaS and cloud, we're finding ourselves moving into adjacent markets. We've been spending time understanding how things like machine learning can transform the drug discovery process and the delivery of healthcare. We are spending time in areas like space and robotics. We have a pretty wide aperture. The common denominator is we are looking for bold ideas. Companies that are building innovative technologies and that have the chance to fundamentally transform a market. How do you think your fund differentiates itself from other funds? First and foremost, it starts with entrepreneurs. Few jobs are as challenging as that of a founder creating and scaling a business; our team’s job is to work collectively for our founders and help them build successful companies. We view ourselves as going to work for the entrepreneurs, as opposed to them going to work for us. It’s a privilege. As a firm, we’re very collaborative in nature and we take a team-based approach. Most of our team have been former operators or founders ourselves and we have a deep empathy for the entrepreneur’s journey. We try to operate like a startup ourselves with a small and nimble team. Our firm’s 19 + year legacy gives us a fair amount of experience, perspective and connections, as well as a foundation for doing what’s right for the entrepreneur. The last thing I would say is that we really have deep domain expertise and we invest a lot of time and energy in building the networks and relationships around the thematic areas we invest to make sure that we can make a difference. This allows us to see over the horizon, and help our companies do the same. How do you think you individually differentiate yourself from other VCs? The other thing is just try to be a good human being. This is a long term relationship and we’ll be working with these folks for many, many years. The last thing that an entrepreneur needs is to be dealing with somebody that isn't 100% aligned with them and has their best interests at heart. I try to make sure that I'm always looking at the world through their eyes and trying to be as helpful as I can. What makes an investment compelling for you? It starts with the team. We spend a lot of time in our diligence process assessing whether or not we think a team has the opportunity to build something really differentiated and transform whatever market or industry they're part of. That is top of our list, bar none. We want to work with good people that we think are going to do things the right way. Second, we look at the markets the companies are operating in. We want to be going after big markets and taking bold bets. The last thing is we look for products and technologies that are differentiated and will create defensible moats making it difficult for other people to replicate. That used to stand primarily on the basis of high quality products and good technology. Increasingly, a lot of businesses we look at have other moats like network effects that can be extraordinarily powerful for businesses. In enterprise increasingly there are communities that get built up around some of these technologies. We put that all together and try to find things that are special and where we feel we can add value. Bottom line is, we want to work with great people, and they come in all different shapes and sizes and all different experience levels. We've been fortunate to work with a lot of folks who are building amazing businesses as their first job. We've also been very fortunate to work with experienced executives who are doing it for the second, third, or fourth time. In the end, we don't think that talent comes in one shape or size or profile. At some level, to be a great entrepreneur, it’s some magical combination of intelligence, grit, determination, and experience. There's always a different combination of all those things, but in the end we think that people that have a vision for the future and have the ability to get it done are what matters the most. Is there was a piece of advice that you could give to founders fundraising, that doesn’t get shared enough, what would it be? The more honest and open and transparent you are, the more likely you're going to find somebody who is investing for the right reasons. I encourage everybody to make sure that you're not trying to manage the conversation. As an entrepreneur you need to be able to sit across the table from your investor and lay it all out there - the good and the bad - and get an honest reaction. It gives me great comfort when founders name the issues or challenges in their business because I don't feel like I'm being managed and I don't feel like there are things I don't know. Obviously, things are not always going to be going up and to the right. Every company has things that need to be worked on. Once I know what the issues are, it's much easier for help the entrepreneurs. There are a number of founders in these conversations that feel like they need to come off as infallible and “we've got this, it's all good.” No business is like that. Which investment are you most proud of and why? I love them all the same! But Heroku is special to me because it was my first investment. It wasn’t obvious at the time, but I loved the founders and their vision. Seeing their success was incredibly gratifying. As with all our founders, I am forever grateful to have had the chance to work with them. What areas are you excited about now and in the future? It's a broad question and I don't think I'll be exhaustive in my answer. I will tell you where I spend a lot of time personally. I believe in this move-the-cloud-native movement - this move away from traditional monolithic to microservices and from on-premise to the cloud. These moves are having profound repercussions it has in terms of software development, deployment, and operations, and also the impact it has on a company’s ability to move faster than ever through software. You can look at every tier of the application stack and realize that they're going to be fundamentally changed. Many already have been, but there are many things left to do. I'm a big believer in things which help organizations move to the cloud. I’m a profound believer in the power of the public cloud and the long term trends there. All the solutions that help companies begin to make that migration, I'm very excited about. We continue to be interested in SaaS in the way that it’s moving beyond broad horizontal applications and into more vertical solutions that do more than just automating a business process, but really help people do their jobs better by delivering insight. We continue to be excited about the long term trend trends there. And as I mentioned earlier, we're very interested in broad applications around AI and ML and in particular how these technologies might disrupt industries typically not addressed by venture capital. CEO and co-founder of LaunchDarkly Edith Harbaugh has raised over $30M in funding from investors at Uncork, DFJ, and Redpoint. She has more than 10 years of experience in product, engineering and marketing with both consumer and enterprise startups. Edith was Product Director at TripIt, where she launched TripIt for Business and ExpenseIt. She holds two patents in deployment. Edith earned a BS, Engineering from Harvey Mudd College and a degree in Economics from Pomona College. She enjoys trail running distances up to 100 miles.